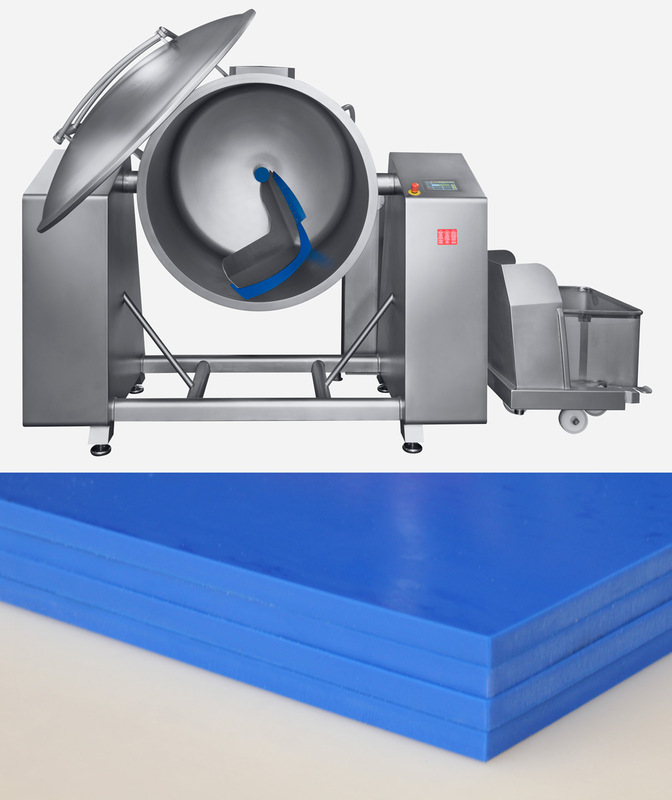 As in all industries, the production requirements in the food industry are determined by their load capacity, durability as well as flexibility in handling. In addition, the hygiene standards here are particularly high. For machinery and equipment that come into contact with food, it must be ensured that contamination with harmful or undesirable substances is prevented. Constant official inspections of food safety are therefore the benchmark for our products. At PTW, we have developed appropriate formulations for a wide range of applications that meet all requirements in the best possible way. Highly stress-resistant, free of plasticisers, resistant to greases, oils and solvents, temperature-resistant as well as wear-resistant, our individual moulded parts and semi-finished products ensure seamless production processes. For this purpose, we are certified according to (EU) No. 10/​​2011 and the FDA.